Home » Posts » Attentionology for K-5 Teachers » Here’s the Scoop – Ideal Rainy Day Activity! 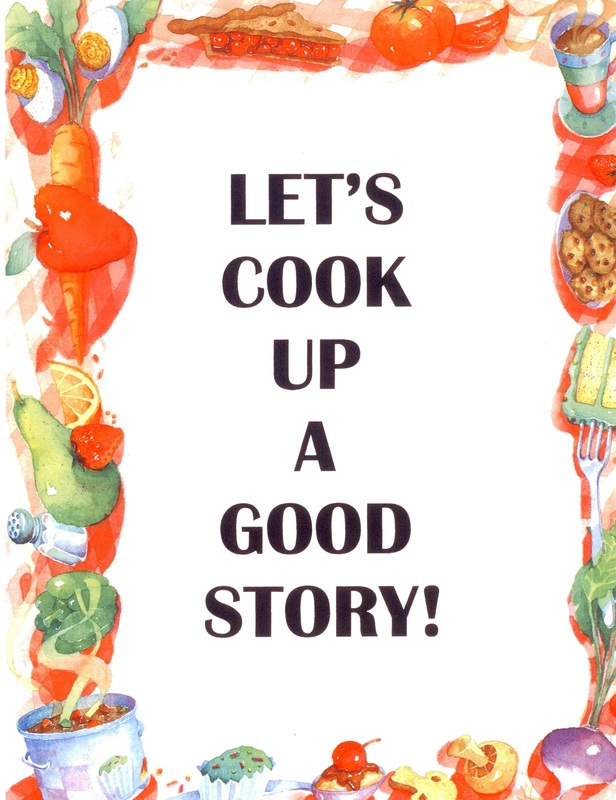 “Healthy foods are good to eat, but let’s save room for an ice cream treat!” Give kids the scoop on “cooking up” a story or poem about ice cream. This one and done idea focuses on ice cream and is an ideal rainy day activity. Explain that ice cream has its own holiday, at least in the United States, where National Ice Cream Day is on its way…Sunday, July 16. Offer some brief background: Ice cream has origins that date back well outside the US, to the Middle East and Europe. According to the International Dairy Foods Association, ice cream was first developed in the second century B.C., when several famous historical figures, including Alexander the Great, King Soloman and Nero Claudius Caesar, delighted in eating iced beverages and snow. In time, snow and ice were refined into cream ice and eventually into the forms enjoyed worldwide today. Short Shot – Open Up an Ice Cream Cafe – Turn your space into a place where kids get the scoop on writing and illustrating a quick story or poem about frosty creations. Begin by explaining that the kids will become chefs when you post a menu of ice cream choices they can choose to create. 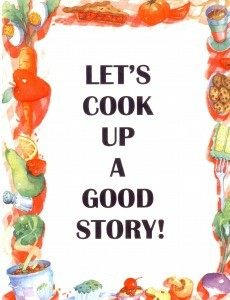 The concept of “cookin’ up” immediately catches and keeps kids’ attention. Offer a menu to young writers that includes short story starters featuring ice cream and other summertime treats. Then here’s the scoop…it’s writing time! Serve up an Ice Dream Shape Poem. Kids draw the shape, then write a poem around or inside the ice cream cone. Yummy! Compose a Frosty Acrostic – Add a word to the menu that you write down the board to begin an Acrostic poem, like G – E – L – A – T – O (ice cream in Italian). This approach offers a scoop of immersion into other languages of the world. Show how to create a frosty acrostic poem by writing a phrase that begins with the letter G across the board, like G ood to eat on a hot summer day. Then ask children to suggest phrases that begin with other letters in G – E – L – A – T – O and compose a frosty acrostic poem together. 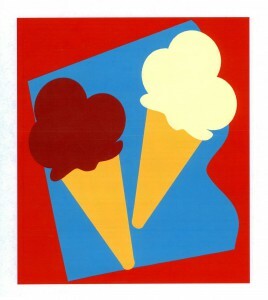 Serve Up an Ice Cream Cone Shape Poem – Trace or draw an outline on the menu board of an ice cream cone. Make the shape with three scoops of ice cream if you want to triple the writing space. Invite the class to copy the shape onto sheets of blank white paper. Challenge kids to write their own poems about ice cream inside the shape. Remind the group that shape poems can be written with rhyme or in free verse (no line-ending words that rhyme). a gentle reminder that whether an activity is fun, functional, or both, it’s best done with focus. Save time to give out “gold star sprinkles” – star stickers – to attentive kids when you wrap up the Ice Cream Cafe. ‹ Show Me – Tell Me More!